Houghton Mifflin Harcourt, 9780547248325, 448pp. Birders can memorize hundreds of details and still not be able to identify birds if they don’t really understand what’s in front of them.Today birders have access to almost too much information, and their attempts to identify birds can be drowned out by excess detail. 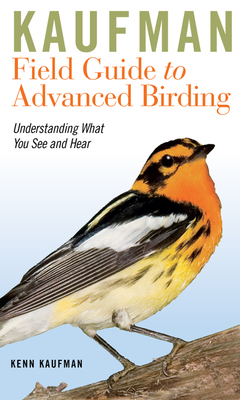 The all-new Kaufman Field Guide to Advanced Birding takes a different approach, clarifying the basics and providing a framework for learning about each group. Overall principles of identification are explained in clear language, and ten chapters on specific groups of birds show how these principles can be applied in practice. Anyone with a keen interest in identifying birds will find that this book makes the learning process more effective and enjoyable, and that truly understanding what we see and hear can make birding more fun.